On Wednesday I saw the incomparable Dave Eggers speak to an 800 strong audience at Carriageworks, in Sydney, courtesy of the Sydney Writers' Festival. Eggers is an incredible novelist, with his book A Heartbreaking Work Of Staggering Genius, being a finalist for the Pulitzer Prize. He has since written 11 novels and several children's books. He's also a passionate advocate for children's literacy, a philanthropist, and publisher of the small, indie journal McSweeney's Quarterly Concern. His energy, humility and enthusiasm rippled off the stage when he walked on to speak. Before being interviewed by Cath Keenan of Sydney Story Factory, he read from his latest work, as yet unpublished and unfinished. It was funny, insightful and managed to shine a light on contemporary American culture in his trademark way. He had some interesting comments on his writing process. Eggers walks around with a character in his head for a couple of years, listening and taking notes. Then he writes and polishes a short piece with this character in it, and sends it out to two trusted sources for their thoughts. Only once they come back to him does he start pulling together the novel. His two trusted sources? His wife and his high school English teacher. That's right. Throughout all his years of writing, Eggers has always sent his work to his old teacher for comment. What a fantastic reminder of the lasting influence a good teacher can have, don't you think? Eggers is the co-founder of 826 Valencia, a non-profit creative writing and tutoring centre for children aged between six and 18. It's an enterprise that inspired Sydney Story Factory (I wrote about it here) and about 22 other centres around the world. He believes that all children should have a safe space to write, be creative and learn. These centres are doing inspiring work with kids from all sorts of backgrounds. He didn't stop there. After he wrote What is the What, a memoir of a Sudanese child soldier, Eggers also set up Voice of Witness, a non-profit book series that uses oral history to illuminate human rights crises. The series contains the stories of individuals experiencing human rights violations and gives a unique voice to many experiencing injustices on a daily basis. What I love about Eggers philanthropic work is that it's well thought out and extremely practical. The Voice of Witness Education program uses real stories and adapts them for use in school curriculum's, in government and advocacy training programs, and by policy makers in the United States and around the world. This bridges a critical gap I think. Not only does the program raise awareness of human rights' violations, it gives an individual voice to these violations by telling a real person's story. These materials are then adapted for teachers, trainers and policy-makers. The aim is to encourage discussion, increase understanding of human rights' issues and make positive, every day changes. 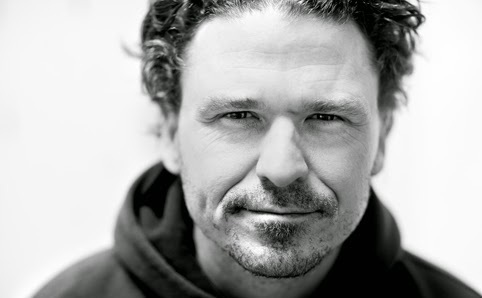 Dave Eggers also spoke recently at Melbourne Writers' Festival about the McSweeney's journal, and on creativity, reading and childhood. Did anyone in Melbourne get along to hear him speak?! He had the Sydney audience on Wednesday night utterly captivated. Truly an inspiring and unique author and person. Here's a great Ted talk on his inspiration for 826 Valencia. Enjoy! I didn't hear him speak in Melbourne - I wish he had! What an inspiring man. Story telling is a powerful vehicle for awareness and social change. I'm a big fan and supporter of Sydney Story Factory, too. And what a BEAUTIFUL discovery that he still turns to his high school English teacher for advice. Thinking about my high school English teacher, I can totally understand why. He was fantastic. There were kids there from the SSF and you could tell they thought he was fab too.